Dualsport Plus Spring Open House!!! Up to 70% off in stock tires!!!!!! Pick up your tires for the upcoming season at the event to save big. Reps, Vendors, Klim's new Vanguard Gloves giveaway, BBQ, sales, in stock Alt Rider clearout!! Huge savings on Klim, Oxford, Wolfman, Forma, Arai, clothing, motorcycles and much much more. Try a BMW with test rides by Smart Adventures. Hope to see you there! Come out to our spring trial/fun day hosted by the Southwestern Ontario Classic Trials Group. The event is located just around the corner from Dualsport Plus at Carrier Truck Center, 6 Edmonson St. Brantford on April 8, 2018 starting at 11:00 a.m. This is a self scoring fun event for all levels and ages. All classes and abilities welcome. 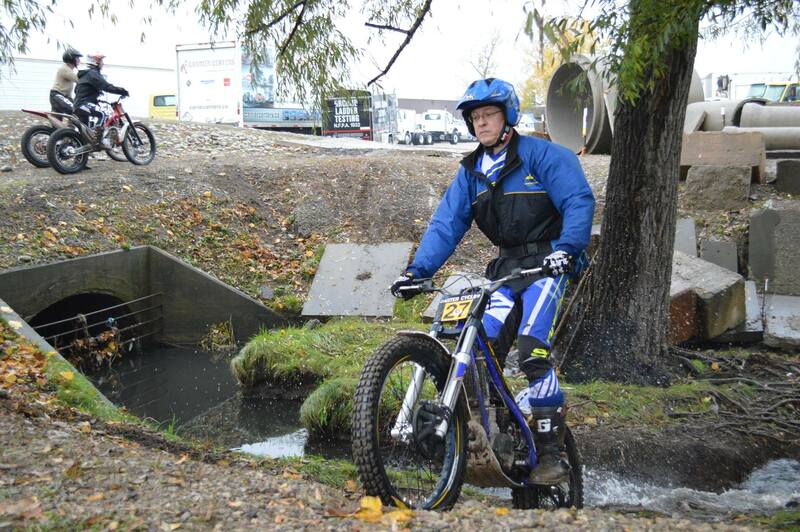 It is the 1st round of the Dualsport Plus Classic Trial Series. Modern and vintage bike classes, ladies class, 7 sections. No CMA or any license needed. This is a great fun trial trial to kick off the season. Come one come all, this is a great spectator venue. Do you love adventure? Join Clint MacBride every second Wednesday during the summer months for Dualsport Plus’s Wednesday Ride Nights. Riders leave the Dualsport Plus shop in Brantford, Ontario at 6 pm and return just after 8pm. Clint leads riders on an off road/on-road guided adventure through gravel routes that explore the beautiful Southwestern Ontario. Along the way, Clint teaches you new riding skills en route as well as introduces you to each region’s local mysteries. Wednesday Ride Nights begin the first week of May, and conclude in October, weather pending. Come on out and do a little on and off road riding with us. Just for fun! Join Dualsport Plus along with Lawrence Hacking, and Clinton Smout on an epic 7 days and 8 nights tour in the Yukon! You will be riding all the legendary roads you have come to know including, the Canol, the Dempster, Top of the world highway and many more. While we are there we will be travelling through Dawson City, Chicken Alaska, Tok Alaska, Faro and more. Touch the Arctic Circle or pan for gold! You will be riding your own bike, and staying in hotels along the way. There is NO camping along this trip. You will arrive in Whitehorse YT on Friday, August 31st 2018. From there we will pick you up at the airport, shuttle you over here to the hotel where you will greet your bike. Friday night is a welcoming dinner, followed by Saturday morning breakfast and then we hit the road! We will be riding for seven days and return in Whitehorse on Friday September 7th. We will have dinner this Friday night, followed by your flights on Saturday September 8th. This is a packed week with most days being 300km to 500km days, so get ready to ride. We will possibly be having a chase vehicle along with us for support as well as a spare bike in tow (TBA). -Your bike will be transported from Brantford to Whitehorse and back. -Transportation to and from the airport in Whitehorse. -All lunches from September 1st to September 7th. -Flights to and from Whitehorse.